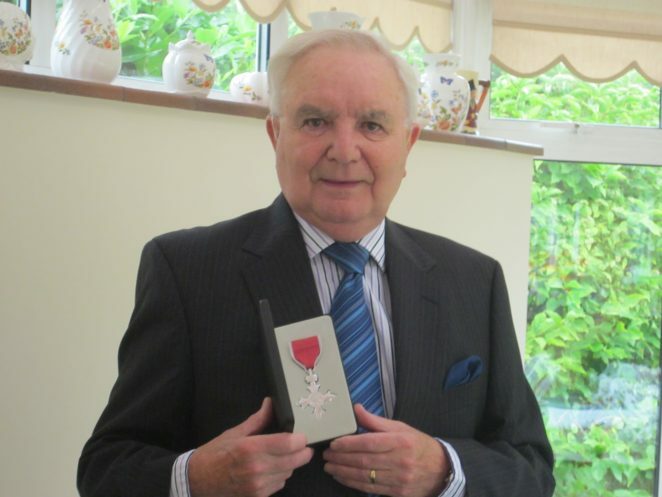 Ken Ross, a long time contributor to My Brighton and Hove, was awarded an MBE in the 2014 New Year’s Honours list for public and voluntary services. He received his award from Princess Anne at an investiture ceremony in July 2015 at Windsor Castle. Ken is very much of Brighton, having grown up, attended school, and worked for most of his early life in and around what was then a town. In 1940 he was living at the Little Globe in Edward Street when it was just missed by the parachute mine that destroyed six houses in White Street. Ken visits Brighton as often as possible and maintains a close interest in it, despite living now many miles away. Quite ironically in fact, he lives near to a field that is said to be the farthest from coastal waters in England.